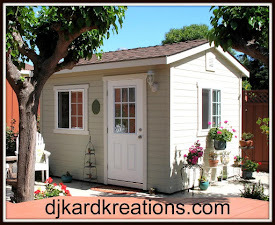 djkardkreations: I Can't See The Forest For the Trees! And thank you for whooshing around to another Friday! I am dashing in quick to try and link up with this week's Less Is More (LIM) challenge of "More Than One Tree." If you are a long-time friend of this blog, you know how much I love entering the LIM challenges. So it's been a busy week, what with one thing and another, but never far from my thoughts this refrain kept repeating over and over: morethanonetree, morethanonetree, morethanonetree. "HELLO!" he bellowed. "Did you or did you not make a morethanonetree card when you were in Minnesota with the BABES? Has it or has it not been sitting right there on your desk waiting to be blogged? If it had teeth, would it or would it not have bitten you on the nose?!" Two is more than one. I didn't want to get too carried away. The SU tree was doubly colored with markers and spritzed with water and stamped onto watercolor paper. The NBUS sediment is unknown since I borrowed it from one of the BABES at the Lake House. BABES? 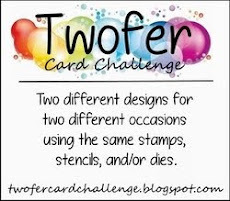 Since I used markers, I am also linking up with the current "Make Your Mark" challenge at Addicted to Stamps and More. And Festive Friday has just posted their new photo inspiration challenge which features a beautiful evergreen tree (mirrored in the mirror) with lots of colors~lots of rosy pinks! The links to the challenges will provide you with information on rules, sponsors, and prizes. I was not even close to achieving the watercolor effect that Maarit so brilliantly managed above, but she was the inspiration for my card. Thank you, Maarit!! Dear Darnell, your morethanonetree card is morethanbeautiful. :-)) I like your colouring. You have found a superb inspiration. This is beautiful Darnell. Your trees are just gorgeous with the multi colors. Those are some SNAZZY trees and thank goodness Hammy didn't forget about them!! Beautiful card, fabulous choice of colours - love it! I'm not sure that hamsters talk, Darnell. Unless - Do you live in a Stuart Little spinoff?!?! Love the multi-colored stamping job done here! It's so fun seeing your BABES creations. Darnell, your trees are BEAUTIFUL! I like the different colors, and the effect after spritzing. Beautiful- very much like the trees at the lake (not now, I bet all the leaves are gone and it's all under snow!) Not my sentiment, but I like the swoopy font! Thank you for my Friday night giggle! The changing colours of the trees look just like the ones I saw today on my walk! Of for a Friday Martini! I'm loving your multicoloured trees. Oh, I love your multi-coloured trees on your morethanonetree card, Darnell!!!! The sparkly snow looks great - can just imagine how nice it looks IRL!!!! Love the red borders on the sides and the red sentiment!! Great DJKASE of Maarit's card!!! I love your mini forest card. Very festive and a perfect CAS design! Love love love it! Gotta give it a try! Don't husbands come in handy sometimes? This is absolutely beautiful Darnell...a perfect CASE! Beautiful colors for the trees Darnell! Great work! Just gorgeous and the colours are divine. WOW! I LOVE your colourful trees with the added sparkle. A fabulous sentiment too. This is beautiful :) love the color changing trees ! These are so bright and cheerful, and I'm all about the one layer, easy-to-mail cards, so I'm loving yours, Darnell! Love your multi coloured trees, Darnell - a whole forest like this would be great! 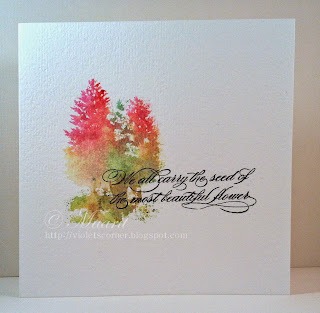 The variegated colors in the trees make for a really pretty card! Love all the colours on the trees. Fab trees Darnell, so pretty with the different colours. What pretty trees and I love the sentiment! It looks hand written by someone with really nice handwriting. Yay for Hammy. It's great when an already made card fits a new challenge. Love the fallish trees, Darnell. HI Darnell! I love your multi-colored trees! Just a hint from someone who watercolors - if you want it to look similar to the card you CASEd - your paper has to be wet so it can wick the color. Just wetting your stamp won't do it! Have a great day and a Happy Thanksgiving if I don't get to your blog next week. Oh those are lovely and colorful trees and may have to CASE since I have the stamp set and use it rarely. Brilliant Darnell! The colors of your trees remind me of the tinsel trees of my youth. At Christmas we set up our silver tinsel tree in the window and pointed a color wheel, that was lit and spun in a circle, at the tree so that its colors would illuminate it. I saw one of those trees at a flea market once and I'm kicking myself I didn't buy it. :( Thanks for the little trip down memory lane! I just love those trees, Darnell! They remind me of my grandma's silver tree with the light that shined on it and changed colors! Memories!!! ;) It's a fresh, festive and LOVELY card, and we're delighted to have you at Festive Friday! Darnell, what absolutely fabulous colors on those trees! Wonderful CASE indeed! 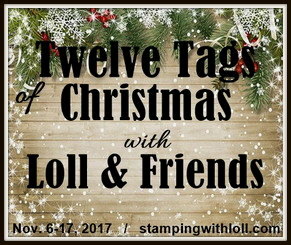 So happy you could join us at Addicted to Stamps and More! Can you say 'GORGEOUS'? Well, I can...and I just did!!! I really love the colors of your trees...so fresh and so pretty, Darnell! And, how fabulous that you added sparkle to them...Swoon! Hammy is such a great, um...Hammy! How wonderful that he reminded you that you had this card already on your desk! WTG! Such a pretty card, Darnell! Love those colourful trees! The way you write your posts always cracks me up my friend! Gorgeous card! Two trees are better than one tree as they say, and I love the colour effect - just so pretty! Great CAS design and thank you for showing Maarit's lovely card too. Hmmmm a truly yummy card Darnell. Love how you've inked with multi coloured inks. Pretty cool and may have to CASE that idea. Thanks as always for taking part and sharing your work. Oh I do enjoy reading your posts! I love these pretty trees and that lovely sprinkle of sparkle! Great work. Thanks so much for playing along with ASM this week! Thanks for the giggle and the view of your very pretty trees on your card! Have a wonderful weekend! Jaw dropping beautiful Darnell! I love the markers...stunning! I do believe. I do believe. I do believe in two! Oh, Darnell, I can always be guaranteed of a chuckle when I visit your page! I get the becoming older stuff! Beautiful card! I love your sparkly trees- only 2! Have a super weekend! Wonderful! Love how sparkly the trees are! Great case of Maarit's card! Beautiful!!! Love your use of color in your cards, and your use of story-telling in your narratives. Always put a smile on my face! Thanks! Thank goodness hammy is still aware of what's going on! He was able to get you to post this lovely, colorful card for us. The trees are so sparkly and happy. What amazingly fabulous trees!! 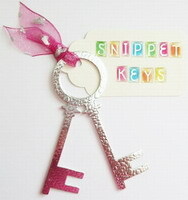 I love ho you created these and your inspiration card is also a stunner! A most fabulous, colourfulest duo of trees even if I do say so myself. That hammy needs locking up .Such disrespect. Hide his nuts!! hugs Mrs A. Thank goodness your hammy reminded you to post this card! Tis another CAS beauty! Just beautiful! Love how you used the different colors on the trees! Such a great idea! Those trees are fabulous. I love the coloring on them. Gorgeous card. Me likey muchly. I'm a bit of a magpie so I'm instantly attracted to the sparkle. Just catching up with last week's comments! This is fab Darnell... I use the words Don't get old SO many times...anyone would think I was old! I love your sparkly trees..so pretty in those colors! Awwww...read your post and my heart had a little 'missing you all' ache! Your card is just as beautiful posted as it was at the house! I don't think that this pretty stamp is mine...but who knows...I might be surprised when I unpack my Christmas stamps! Stunning card, those colors are fabulous! You cased a gorgeous card, Darnell & I love your take with the colorful evergreens! I've never tried doing any stamping like this. Must get over my scaredy-cat-ness and give is a whirl. I did try stamping with Distress Ink for the first time yesterday and love the way it worked. Your tree's are simply stunning and love the way the colours mix together. Extremely clever idea and yay for Hammy!! Darnell - hugs to you on this beautiful card - love the colors and the sparkly snow you added!! You did a lovely job and I am so glad to hear that I am not the only one who sometimes forgets what I have already created!! You are amazing and you make my day!!! Not sure how I missed this card...it is amazing and I do recall seeing one or two just like this in Minnesota. Your trees are about as beautiful as they can be. And what a card they make. Your card is fabulous Darnell, love the immaculate stamping and the colours, I'm feeling honoured sweetie! Your tress are so beautiful - I can't see the forest either!!! !